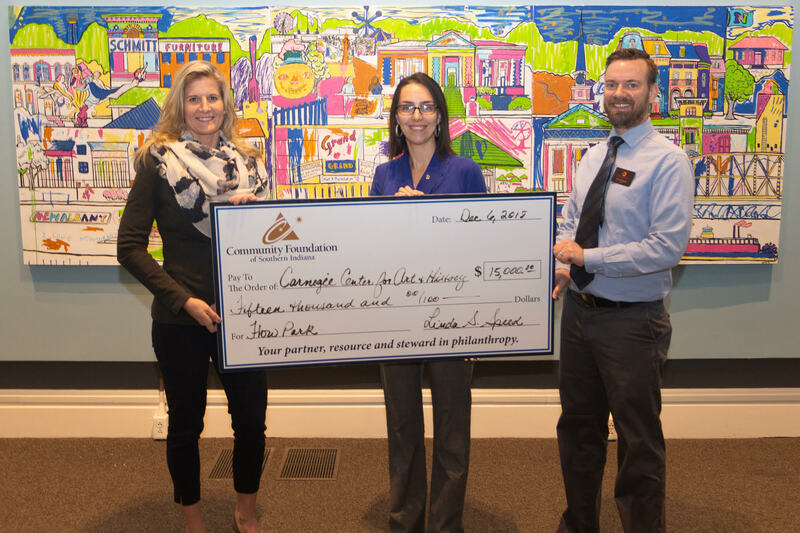 The Community Foundation of Southern Indiana presented the Carnegie Center for Art and History with a Catalyst Grant in December. Pictured Left to right: Crystal Gunther, Community Foundation of Southern Indiana; Eileen Yanoviak and Daniel Pfalzgraf, Carnegie Center for Art and History. Artwork featuring hallmarks of the downtown New Albany by Elizabeth Richter and the New Albany community. With help from the area’s most generous granting organizations, the Carnegie Center for Art and History is moving forward with plans to rehabilitate an antiquated skate park on New Albany’s Ohio River waterfront, in partnership with the City of New Albany. This is the final stage of fundraising for the public art project before anticipated construction in Summer 2019.  This month, Samtec Cares granted the Carnegie Center $10,000 towards the project, joining fellow grantors Community Foundation of Southern Indiana, Duke Energy Foundation, Horseshoe Foundation of Floyd County, and Humana Foundation. Carnegie Center Director Eileen Yanoviak says, “We are exceptionally grateful for the support of these organizations that elevate arts and culture in our region. This project, developed in collaboration with the community, will be a long-lasting testament to the power of art to transform public spaces and reflect our unique identity.” She adds, “With several outstanding grant requests, the Carnegie Center is confident that we can meet our goals.” In addition to these grants, the project is supported by individual donations and a substantial allocation from the Carnegie Center for Art and History, Inc., the non-profit support organization for the Carnegie Center. Renderings by Hunger Skateparks of the New Albany Flow Park steamboat and rainbow arch features. Coming in 2019, the Carnegie will embark upon one of its most ambitious public art projects to date. The New Albany Flow Park is a non-traditional public art project that rehabilitates an underutilized, antiquated skatepark along New Albany’s waterfront into a skateable and playful work of art. Located between the Amphitheater and the Sherman Minton Bridge, the park will be transformed into an interactive, stylized Ohio River scene that celebrates the robust history of the region. Complete with a steamboat and symbols of Ohio River bridges and land- and waterscapes, the design is the result of a collaborative process between the community, the Carnegie, and Hunger Skateparks, a nationally-recognized design and build firm based in Bloomington. The design is aesthetically pleasing, historically significant, and functionally interactive as a skate- and playpark. The project provides a community gathering hub and safe space that integrates art and creativity with healthy living and the ongoing riverfront beautification efforts of the Ohio River Greenway Project. The Ohio River Greenway has been underway since the 1970’s, intending to highlight a multi-community River Heritage. The New Albany Flow Park project and site enhances the recreational and artistic amenities of New Albany. 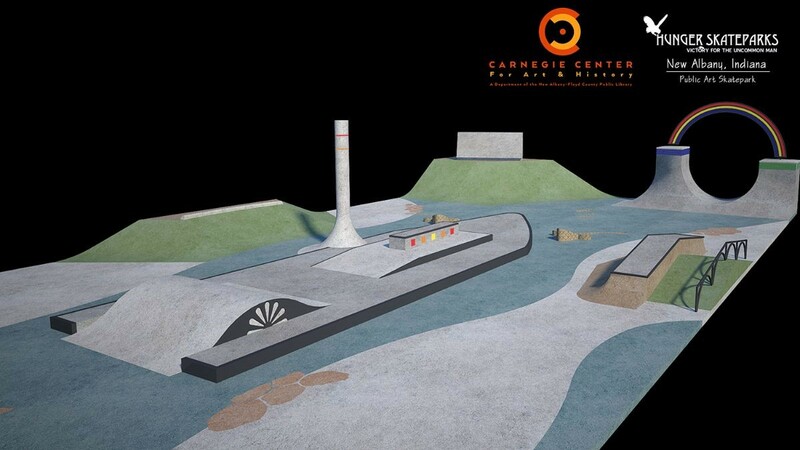 For more information on the Carnegie Center for Art and History’s ongoing Public Art Projects, visit Carnegiecenter.org. The Carnegie Center for Art and History, a department of the Floyd County Library, is a contemporary art gallery and history museum that offers a full schedule of changing exhibitions and other educational programs. The Carnegie Center also features the ongoing local history exhibits, Ordinary People, Extraordinary Courage: Men and Women of the Underground Railroad and Remembered: the Life of Lucy Higgs Nichols. The Carnegie Center is open Tuesday through Saturday, 10:00 AM – 5:30 PM. The address is 201 East Spring Street in historic New Albany, Indiana. The Carnegie Center for Art and History is accessible and admission is free. For more information on exhibits, events, and other programs, visit www.carnegiecenter.org and www.facebook.com/nacarnegie. Press release provided by Carnegie Center for Art and History.